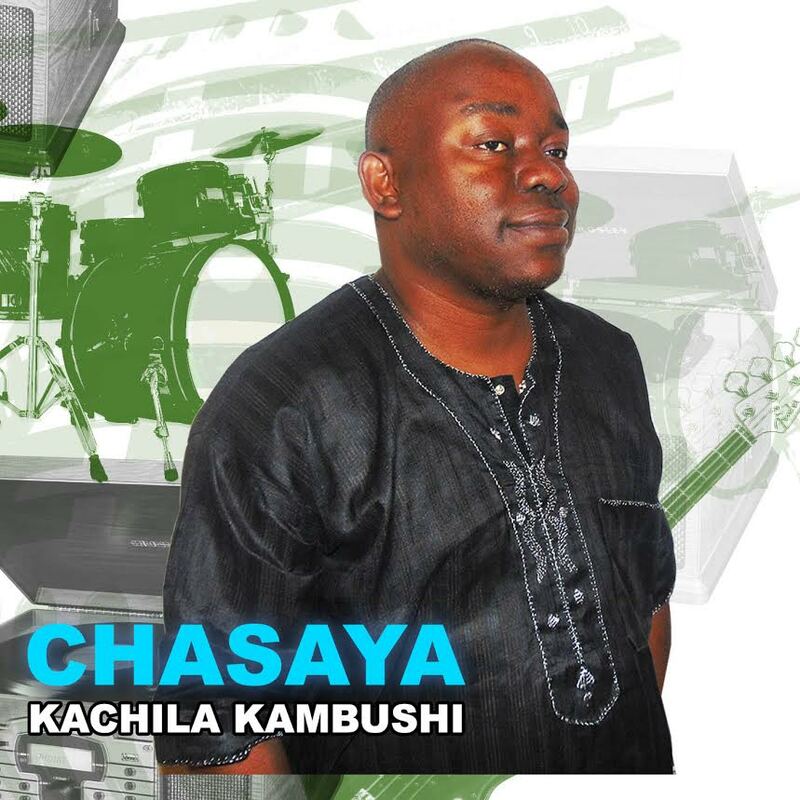 Canada-based singer Chasaya Sichilima has released a single entitled ‘Kachila Kambushi’. ‘Kachila ka mbushi kasekula apo kekeele’ literally means ‘the goat’s tail cleans its immediate surroundings’. The song recalls Zambia’s past, speaks about the Zambia of today, and challenges every Zambian to unity, accountability, respect and keeping the PEACE. From the first citizen (President/Kateka) to the 15th million Zambian, the cry is “Let’s put our house in order”! Chasaya is a two-time nominee of Canada’s prestigious ‘Jack Richardson Award’ for World Music. He is known for songs such as “Zambia”, “Akamangu”, “Mukoto”, “Naleta Ichila”, “We Kaela” and “Tizaonana”. Chasaya is currently working on a new album. It will be his first studio recording project in 10 years after the critically acclaimed “Walasa” album. JK drops the visuals for recently released single ‘Open‘. Yes yes abena Chasaya thanks for decent music. I didn’t know boy that you continued music after our secondary school. This music we suggested to Edgar to dance to at campaigns… RESPECTIFUL music. Not that Dununa Reverse he is succumbing his wife to. Seriously, compare our LT blogger Sichiya music to Kanene/JK…. dununa..
Dispicably betraying guy; if you ever come to Canada these are chaps to avoid and not to trust! Mayo Mpapa, finshi akuchita Chasaya? Umwine aleyimba fye eka. Learn to just appreciate or keep quiet. Bbokeeli, uyu Chasaya wakumwena apatali, elyo kabili wakupeela nokusunako; he is not a good human being. A man who stabs a close friend in the back ought not to be trusted. He did just that to me after trusting him and even helping him settle down in Canada. Anyhow, just enjoy his music – and I just hope you never get to know the singer closely. I am having none of him and his music; once bitten twice shy! Mayo Mpapa your the one people should be scared of. I have lived inCanada longer than Chasaya has, even though he is not a close of friend i can vouch for this guy he is not the way you are portraying him. @jambo: everyone has their own opinion, but I have known Chasaya since the late 80’s and know exactly what I am talking about. My only biggest regret is that I felt obligated to receive him in Canada and help him settle down, while those who were already settled in Canada kept their distance and only embraced him after he had already found his feet. So, just enjoy his music – while I am having none of it. Betrayal by a close friend is more hurtful than you can imagine. But, I will rest my case here. Great music, well sung with very good advice to us all. Those few people that think own Zambia and go on and on talking evil about others, this is for you. Please listen to this intelligent man. Uwikala apatalala mwine apatalalika. Well sung brother. Keep up the spirit of Ubuntu. Good Ole Zedian music of the 70s and 80s given a rebirth. Serious stuff. With proper gitar playing. Wonderful Chasaya! Wonderful stuff. Keep going Chasaya. Mayo Mpapa, you are right about Chasaya. He will only come to you when he needs help and doesn’t hesitate to throw friends under the bridge. Ask the Sakala Brothers how Chasaya conned them! @Dunuma Reverse: In fact I was instrumental in mitigating the Sakala Brothers betrayal. I understand the Sakala Brothers have since vowed never to cooperate with Chasaya, and they are no longer friends. I reiterate, betrayal by a close friend really hurts – as “ukwangala kwachila ulupwa”. Those who know Chasaya will not buy into your cheap bitterness-fueled posts; they will judge him based on their own experience with him as a friend. Those that don’t know Chasaya simply don’t care for your rants. Wise up. Now we are beginning to know a few things that we did not know about someone else’s secrets from Jambo! Can you tell us how Chasaya contributed to your personal problems? @Zedian: even the Sakala Brothers are “bitter and angry” in your estimation? So, it’s fair game for Chasaya to lure the Sakala Brothers into Canada and defraud them? Anyways, people who refuse to learn from other people’s experiences are condemned to fall into the same trap. But, for the Sakala Brothers and I we are having none of Chasaya anymore. @Mayo Mpapa, when and where did the Sakala Brothers appoint you spokesperson? You seem to have an agenda about Chasaya fueled by nothing other than hate! Would be better if you told us about your personal problems (seems they could be plenty) and how Chasaya contributed to that! If Chasaya had problems with the Sakala Brothers, that should be between him and them. Do not use the Sakala Brothers to drive your agenda of hate. Wise up man! @Zedian, you sound like a problem-less person – which is good for you! I was instrumental in Chasaya settling down in Canada, when people like yourself (I am sure!) did not even want to be anywhere near him, used my money to help him move from Painted Post to a different address, and from there to where he currently resides, and was instrumental in resolving the Sakala Brothers debacle using my own money. I also visited his late mom at her deathbed and ran errands for his brothers’ paperwork. And all I get from him is a sharp stab in my back… I suppose that’s cool with you Mr. Zedian! Perhaps you are like-minded and people need to steer clear of you! If Chasaya is indeed as bad as you are painting him, shouldn’t you be happy that he is no longer your friend than continuing to accuse him of things he cannot defend himself about (since I am sure he does not know who you are as you use a fake persona)? The fact that you continue to search him out gives the impression that he is better without you: an unforgiving, self-righteous stalker! Canadian laws are there to protect you. You have not used them and it is easy to see why: delusions. @Zedian, I will say no further. Just suit yourself and enjoy Chasaya’s company/music. Peace! Smooth… Good on you Chaz.